It is not often that a big hero publicly praises another big hero.When something like that does happen, people feel so happy. Something like this happened between Mass Maharaja RaviTeja and Young Tiger NTR. During a recent interview given to a TV channel, Ravi Teja heaped praises on NTR. “NTR’s dialogue delivery is amazing. Among contemporary heroes, he is the only one who can play mythological and historical characters with ease. Only NTR has the ability to pull off such difficult and complicated dialogues with ease”, said Ravi Teja. 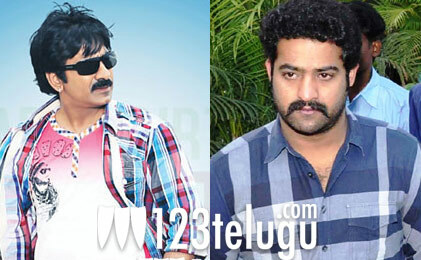 Ravi Teja’s comments have sent NTR’s fans into raptures of delight. Ravi Teja will soon be seen in the action entertainer ‘Nippu’ while NTR is busy with the shooting of his ‘Dammu’.